We have been trying out Gay Lea's Cinnamon & Brown Sugar Spreadables this month and experimenting with using it in different recipes and with different snack ideas. I would typically use something like this by just spreading it on toast (which tastes amazing) but for my post around this product, I wanted to think of a recipe to use it with. I have tried it melted & drizzled on popcorn (delicious.. but a bit messy.. I ended up eating it with a spoon), I have tried it on toast (tried & true method and the easiest, quickest way to eat it), and I have thought of other ways to use it like baking apples with the spread on them. I have also watched some fellow bloggers post about recipes they've added it to (such as frosting or crumble on top of a fruity dessert). 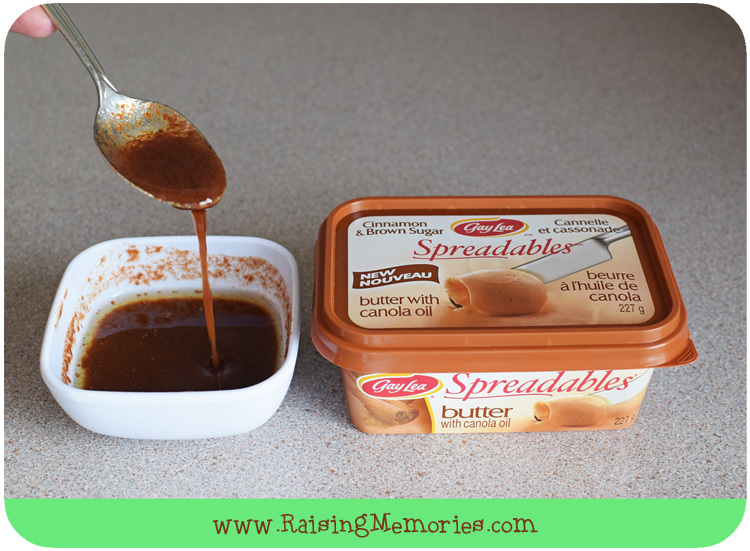 These spreadables combine creamery butter with unsaturated canola oil to make them spreadable on any food, right from the fridge, but also fabulous melted or incorporated into baking. 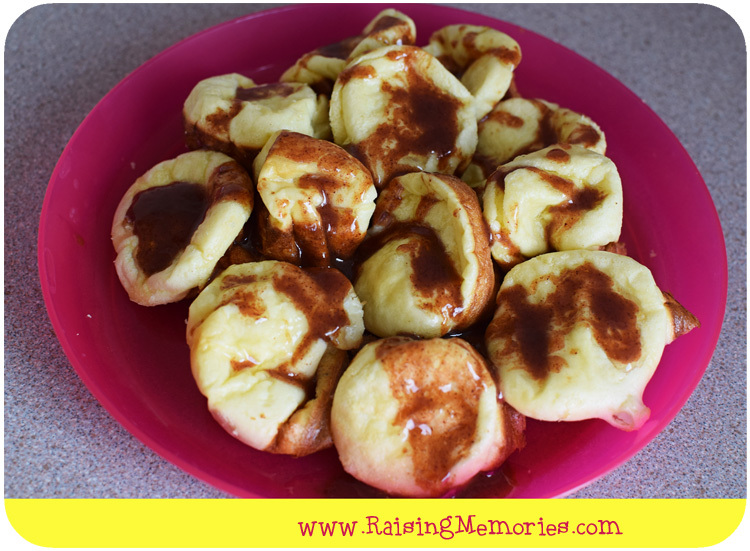 What I finally came up with was to use it as a melted sauce on top of mini puffed pancakes and let me tell you, I know something's a winner when I can't even start to type out the blog post or edit the photos for it without salivating! :) We LOVED this and I think you'll want to give it a try! 1. 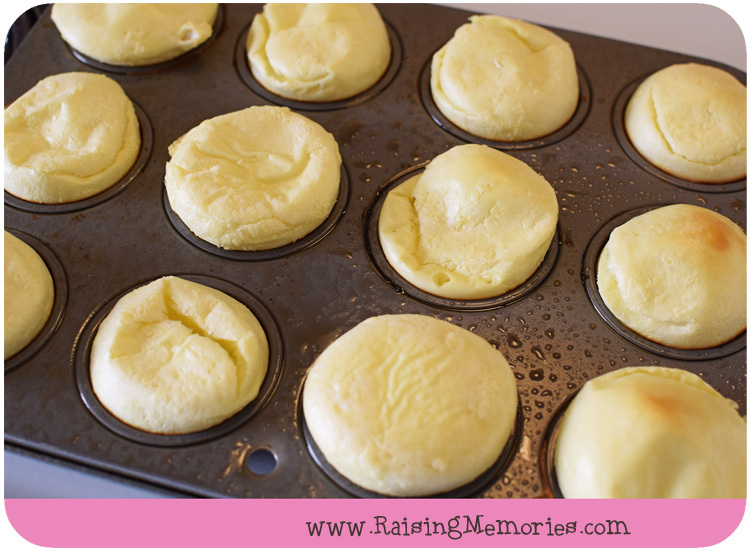 Put your mini muffin pan in the oven at 400 degrees F.
2. 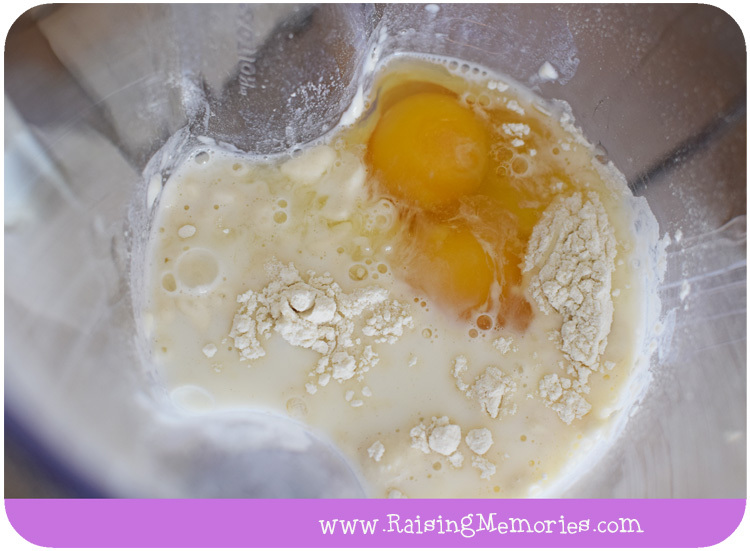 Blend milk, eggs, flour, and salt. 3. Remove pan from oven (learn from my mistakes & don't take the oven mitts off!) and spray (generously) with cooking spray. 6. Remove from oven and remove pancakes from pan. 7. Melt some of the Cinnamon & Brown Sugar Spreadable (maybe a 1/4 cup or so.. depending on how much you want) in the microwave in a small bowl for a few seconds. 8. Stir your 'sauce' and drizzle on your pancakes. 9. Sprinkle powdered sugar on top, and DIG IN!! Before you take off to do that though, you might want to enter this giveaway ;) To celebrate all of the delicious ways you can infuse Gay Lea’s Cinnamon & Brown Sugar Spreadables into fun recipes, we’re giving away an amazing brunch kit consisting of one Cuisinart Professional Rotary Waffle Maker, one Cuisinart Conical Burr Coffee Grinder and one Staub En France Cast Iron 10” Frypan! (This prize is worth $340!) There will be one winner (across all of the Gay Lea blogger blogs). We’ll also be giving away 1 year of free Gay Lea product (12 coupons for free Gay Lea product) to one reader from each Gay Lea ambassador blog, so one of my readers will definitely win that one! Disclosure: I am part of the Gay Lea Ambassador Campaign with Mom Central Canada and I receive special perks as part of my affiliation with this group. The opinions on this blog are my own." This looks so good. I'm going to have to give it a try. I use Gay Lea butter in all of my baking! I haven't used that brand but the cinnamon spread looks yummy! I love Gay Lea Butter. I use it for all my baking. 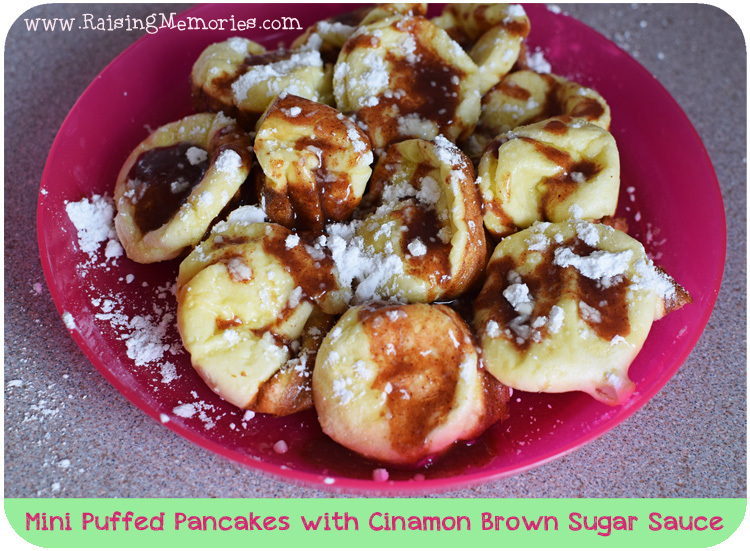 I haven't tried it but the brown sugar cinnamon butter looks amazing! The Vintage Cheddar sounds yummy! Gay Lea butter on freshly made waffles, perfect brunch treat!! The cinnomon and brown sugar spread. My eldest loves it! hmm I love Gay Lea whip cream,,I haven`t tried the coconut version yet,,but want to! For a delicious brunch, my favorite Gay Lea product is their butter. Butter is the secret....no more margarine for our household. 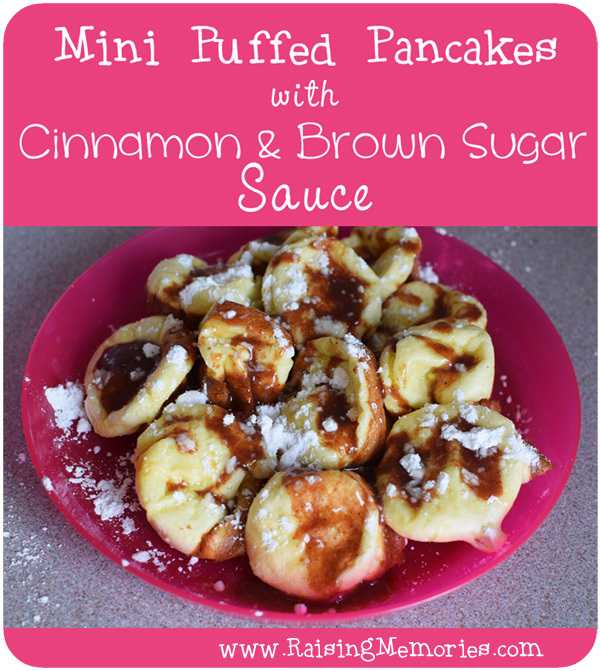 Great on waffles, pancakes, crepes, perogies, fresh baked muffins and more! I haven't seen this brand where we are, I will need to check with my MIL. We do puff pancakes all the time. 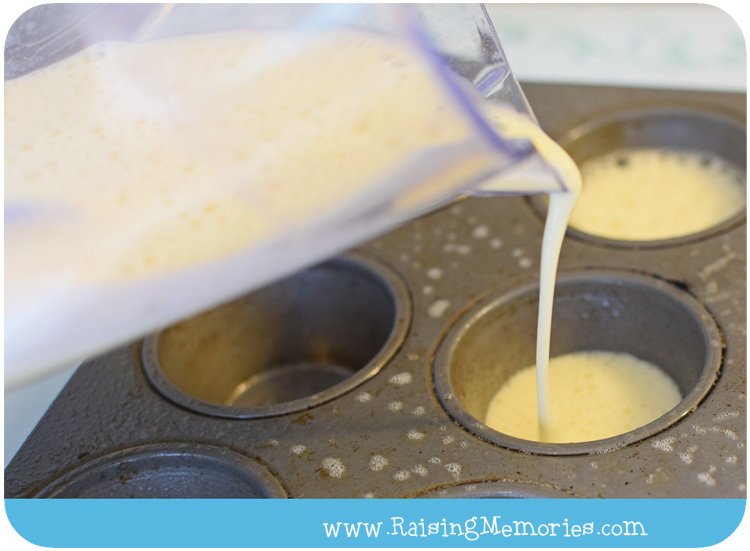 I never thought to put them in the muffin tin. I love Gay Lea Butter, and use it in all my baking and cooking. These look great! I am going to try them one day this week! I've never tried their products - but this sounds amazing and easy, do I'll be on the lookout! Oh wow those look so cool, I really need to give these a try next time my granddaughter is over! !